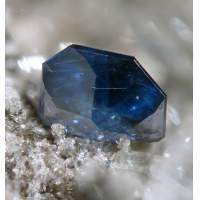 Please consider supporting the Mineralogical Society, a registered charity in England and Wales, by contributing to the Sustaining Members fund or by making a bequest to the Society in your will. Subsidising student membership dues in subsequent years. Our student members are very important to us, and to the future of the Society and the subject. We seek to support them in every way possible. Each year, 10% of the monies raised will be spent on these items, with 90% being invested so that the fund can grow and eventually become self-sustaining. Members are invited to make contributions at the time when they pay their annual subscriptions or by logging in and making a donation at any time. See our list of donors below.